Every time I talk about top 10 lists, I always start with the disclaimer that I know how pointless they are. And then I ask myself: OK, if they are so pointless, why do I have so much fun reading them and doing them and sharing them? No good answer, In fact, making lists is far from the only pointless thing I do. Today, I am adding some new films and slightly changing the order. It is not a 10 best list. It is a list of my ten favorites. A list of 10 best films would be beyond nervy given how many films have a legitimate claim to inclusion. But it seems perfectly fair to make a list of ten favorites since they are, in fact, only my favorites. Seriously, I want to make some changes to my list. But according to ground rules that some friends of mine and I set up many years ago in a UCLA dorm room, I have to remove one film for each one I add. I posted my last 10 favorite about a year ago. Here is my new one along with a list of contenders. Comments welcome. Lists welcome. Ridicule welcome. Since I am frequently watching films, the idea of occasionally recommending only one seems almost peculiar, especially given how many have entranced me since the days I cut political science courses as a freshman at UCLA to spend 12 hour days in the Melnitz film archives. 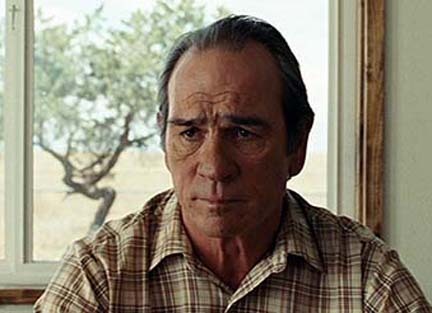 But I would like to limit recommendations in this blog to a different class of film that comes along every so often. 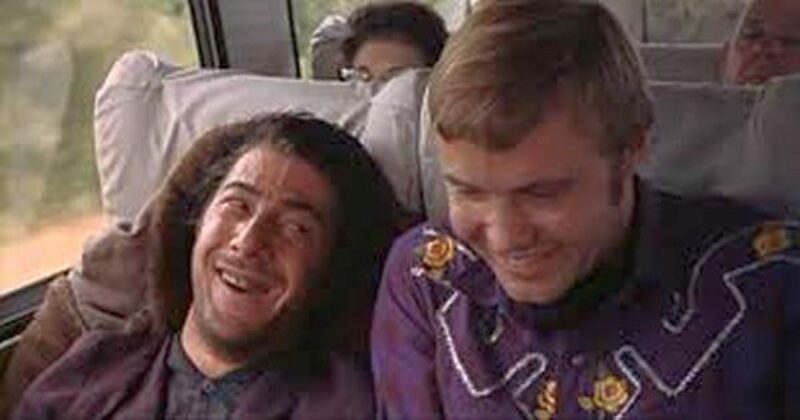 These are the “residue” films that transcend even the best of the medium and — almost always through compelling narrative and character development — leave you with a residue of sadness or nightmare or unresolved moral dillema that you couldn’t shake if you tried. These films are emotional traps, in the best sense of the word. Sometimes for years. I am sure many of you know the feeling. You’ll be walking along and you suddenly realise that you are still “living” in a film you saw months before. The narrative might have had a superficial exit of sorts, but that same exit slammed shut if you were seeking an easy psychological way out from the film’s emotional complexity or challenging moral dillemas. The best way I know how to make this distinction is recalling the day my daughter’s hampster died. She was inconsolable, for five minutes at most, and then wanted to know if we were still going out for pizza. First the pathos and then, even more quickly, the pepperoni. Yet in the years that followed, when the same daughter (and all of us) lost Michael, a wonderful, creative and occasionally insufferable friend to HIV/AIDS, we entered a space that still surrounds us more than 15 years later. I am talking about films that do something like this. Thanks to my colleague Mick Hurbis Cherrier’s suggestion of one film, I am now entering my third month stuck in a relentless nightmare of war. 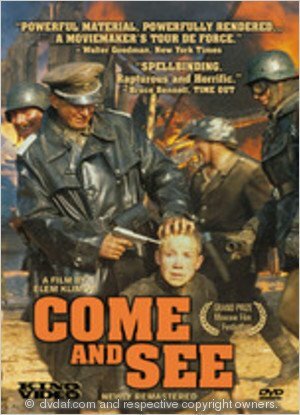 So let me recommend Elem Klmov’s “Come and See.” We had been arguing in the department whether, per Truffaut’s assertion, anti-war films were impossible because of the inevitable tendency of film to aestheticize horror. So Mick pulled this film out of his hat, and in one viewing, Truffaut’s claim — for me at least — was demolished. Check it out. You’ll never be the same. This is war — relentlessly sad, horrifyingly violent, and morally confusing. A nightmare. What Does a Painting of the Fall of Rome Have to Do With News in the Digital Age? Eeny, Meeny, Miny, Mo: My Nightmare. Our Nightmare. Great Songs in Films #5: Chuck Berry's "You Never Can Tell" (Teenage Wedding) in Quentin Tarantino's "Pulp Fiction."